James Rapson has been an innovator in the field of personal and professional development for over 20 years. A former psychotherapist, his focus is now on training and coaching. 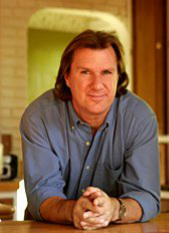 He is an internationally-published author and a nationally-recognized speaker and workshop leader. James has been cited for his expertise by the Seattle Times, Chicago Tribune, Chicago Sun-Times, and The Atlanta Journal-Constitution. Radio shows include The Jill Spiegel Show (St. Paul), Women's Watch with Laurie Kirby (Boston), Positive Parenting with Armin Brott (nationally syndicated), and Health Marks w/Norman Marks (nationally syndicated). Recent television appearances include KING 5 Morning News with Joyce Taylor (NBC Seattle), FOX & Friends with Alisyn Camerota and Brian Kilmeade (Fox Network), and Geraldo at Large with Arthell Neville (Fox Network). James co-authored the book Anxious to Please: 7 Revolutionary Practices for the Chronically Nice with long-time friend and collaborator Craig English. More information about the book, workshops, and other related material can be found at www.anxioustoplease.com.